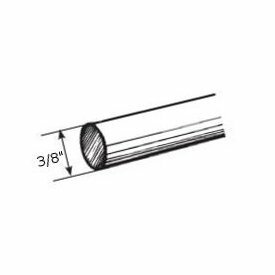 Kirsch wood trend 3 inch diameter fluted wood curtain rod. Wood poles for drapery and curtain treatments. Available in extra long sizes, up to 12 feet. Quality made by Kirsch. Note: Some colors are more, unfinished is less than amount below. Kirsch wood trend 3 inch diameter fluted wood pole. Decorative Wood drapery poles. Ships by truck, freight added at checkout. Wide curtain rod poles by Kirsch. Note: Some colors are more, unfinished is less than amount below. Wood drapery poles, wooden curtain rods . Kirsch's reputation for quality and elegance was built on Wood Trends. These classic styles in rich colors and subtle grains complement wood furniture finishes and architectural details, allowing for a totally original design statement. With a wide assortment of components such as elbow brackets, swivel sockets and holdbacks, Wood Trends is not only timely but also functional. Kirsch wood poles can be used for many types of curtain and drapery fabrics. Wood drapery poles come in 4, 6, 8 and 12 foot lengths. Other diameters, 2", 2 1/4" and 3" are available. Note: Some colors have surcharge added. Fast Shipping on all stocked products, including hard to find parts for the brands we sell. BasicQ offers the entire Kirsch and Graber drapery and curtain hardware line. This includes all the parts and pieces required to repair or build your own DYI custom track. Most department stores and home center only offer the most popular products in a vendors catalog and normally, from one vendor. We can do this because our distributors stock about 95 percent of what the manufacture makes. They also give us a 24 to 48 hour out the door shipping service on all items. All the other brands BasicQ offers online are selected because they are in stock at the respective distributor, and the distributor ships in a quick 24-48 hour window. Exceptions to this is limited to custom made products. These can take from 2 to 3 days up to two weeks depending on the product. Materials used to make the curtain rods and traverse rod products are wood, aluminum, steel, vinyl and other resins. Please note that all rod and pole accessories offered are made to coordinate and fit it's specific brand. While brackets, rings, finials and other accessories can be used with other brands, the exact size and color will probably not be the same.